STOP, in the name of love! Please giiiiive me a home. Meet Bam Bam, this week’s Ponte Vedra Pet of the Week.. He is a 1 1/2 year old Hound/Retriever mix. Bam Bam is a very well-behaved baby boy. He is housebroken, gets along well with dogs and all well-trained kids. 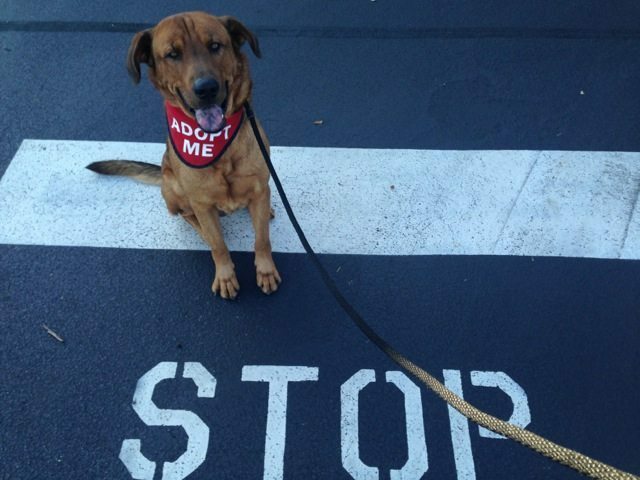 Bam Bam was abandoned when his family could no longer care for him. He is a sweet, quiet cuddle bug who would love nothing more than a soft warm bed and a loving owner for the holidays! Bam Bam has been neutered, microchipped and is up to date on all his vaccines.